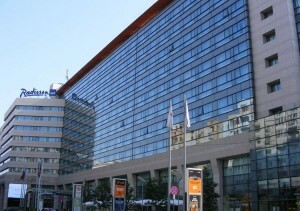 Central hotel lies near Bucharest airport and many attractions. Located close to the city’s cultural, shopping and business districts, the Radisson Blu Hotel also provides easy access to Henri Coandă International Airport and the metro. This convenient central hotel gives Bucharest guests an ideal starting place for exploring all that the city has to offer.